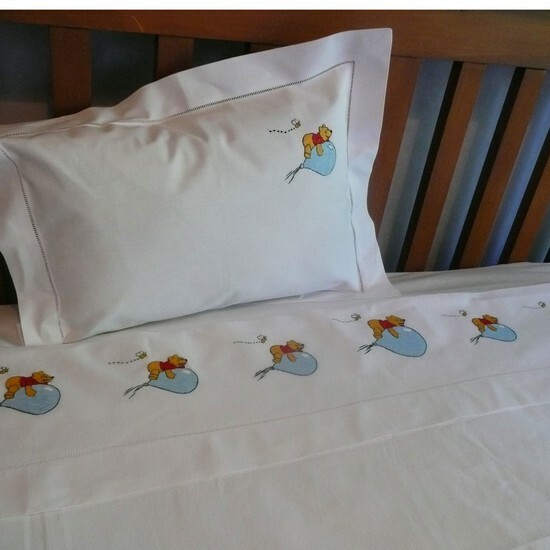 100% Cotton hand embroidered cot sheet and pillowcase set featuring the bear on balloon design. 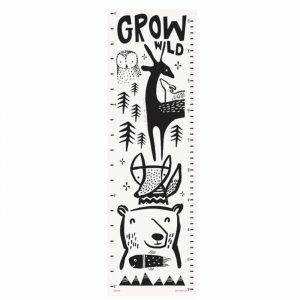 The sheet features a large bear in the centre measuring 9cm with three smaller bears on each side; each measuring 7cm. 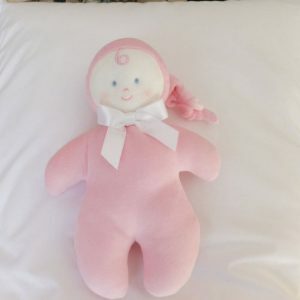 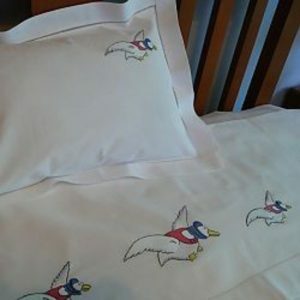 The pillowcase has a bear in the top right corner. 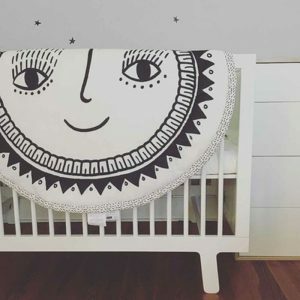 Cot sheets are sold with a pillowcase or you may purchase the pillowcase only.